Veneer Concepts manufacture Doors to customer specifications . We have the expertise and know how to make sound proof and fire rated doors . We can press any veneer on these doors to add beauty and practicality to your home or business . 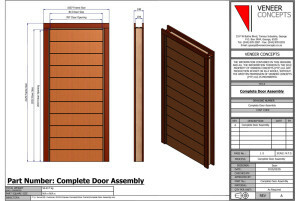 Veneer Concepts have the expertise to do custom design cuts and manufacture doors to customers unique instructions. We also manufacture pre-hung doors and frame systems . 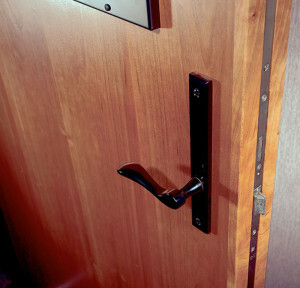 Veneer Concepts manufactures sound proof doors. Our pre-hung door system allows the builder to leave an opening in the wall that can be finished at the end of the project so that the doors are not damaged on sight. The frame is adjusted to the opening size and is then fitted. It also allows builder to easily supply non-standard sizes for their customers requirements. We supply any finishes to customer requirements. Examples are Mahogany, Oak, Maple or Beach.